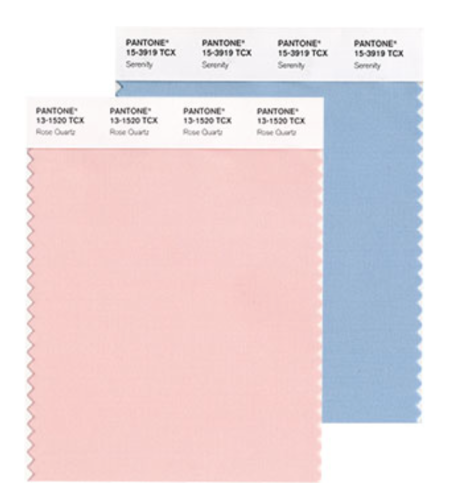 You’ve no doubt heard the news by now — Pantone, the official color source, for the first time declared two colors as the “2016 Color of the Year” — Rose Quartz and Serenity. A huge departure from last year’s deep wine marsala, the two pastels together are supposed to inspire tranquility and relaxation in our overly-scheduled, frenetic lives. 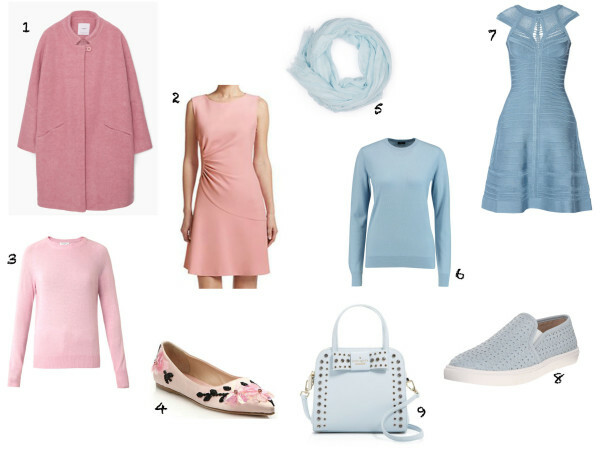 Anyway, while we enjoy a lovely feminine pastel as much as the next girl, at MSL we immediately think baby shower when we see blue and pink together, and thus prefer to individually pair pastels with a great neutral like camel, black, gray or navy. Although we did find an amazing handbag that merges the two sugary pastels in an edgy-chic way. Here are some great pieces we found.